I present to you today my favorite Hollywood face. Comedian and actress Tiffany Haddish is here with us! Born on the 3rd of December 1979, Tiffany grew up in Los Angeles, California. 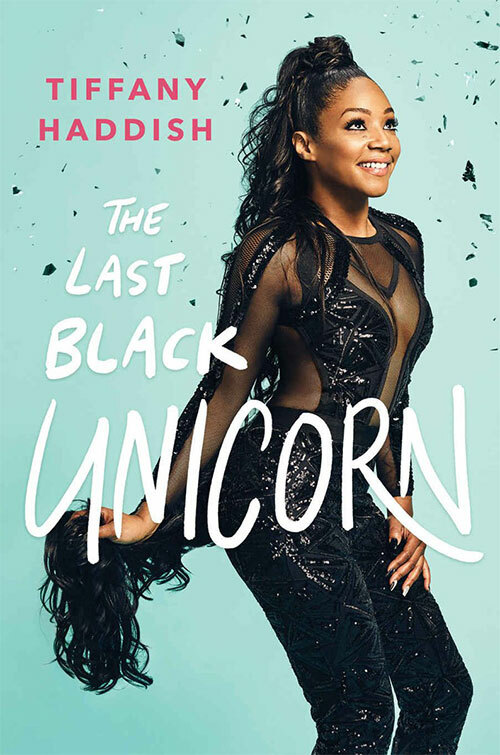 She used comedy as a gateway to joy from problems she faced as a child. She considers laughter to be the best medicine and so every day she strives to heal as many people as possible. 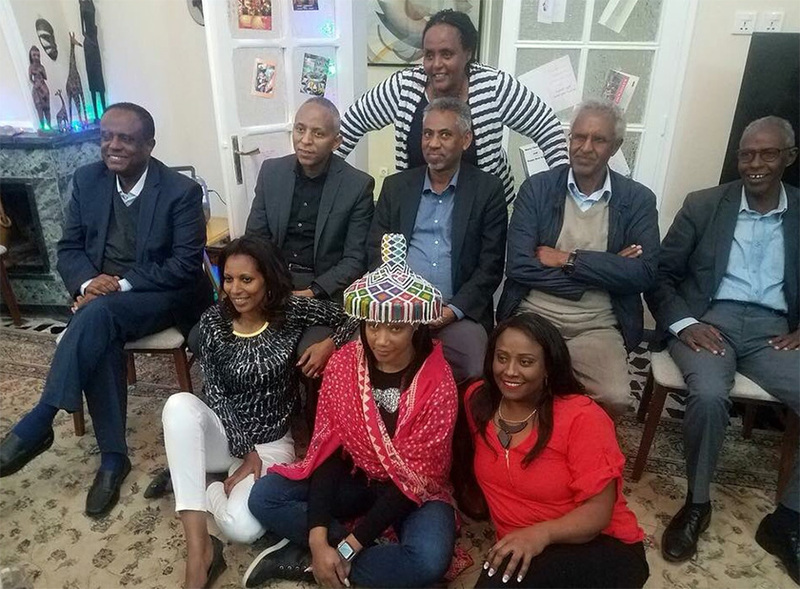 Tiffany, a power machine of laughter and a prominent African American female comedian is here in Eritrea bidding farewell to her late father. 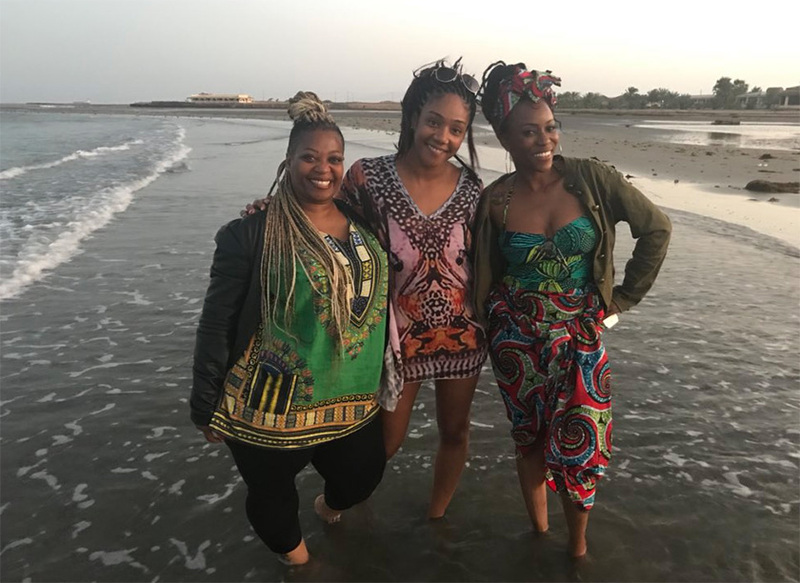 Tiffany Haddish will be flying back to the USA tonight after some marvelous days that will be memorable in the memories of her Eritrean fans. As you read today’s article I hope you smile and do the “hihihi” sound with it as that would be our today’s Q&A’s guest greatest pleasure. Q : Welcome to Eritrea Tiffany. How is it going so far? I feel great. So far it has been amazing. When I first got here my whole family came to greet me in the airport; all of these people that I have heard so much about but never had a chance to meet. They greeted me with the typical ‘elelelelel’ uproar. I am staying in this really beautiful hotel, the Asmara Palace. It makes me feel like a real princess. We also visited the cemetery and that was the most beautiful experience to me. I have been tirelessly around the city. I am happy to see all of the people walking peacefully. Wow, and the food, I have been to my cousins’ and aunt’s places and I have been eating so much food. I love enjera and everything else. I don’t even know the names of most of the dishes I had but I ate well. Then we went to Massawa and the trip was incredible. On our way to Massawa, I looked a mashela (sorghum) farm and I know you make enjera out of it, and then I ended up in an argument with someone thinking that that was a corn farm field. 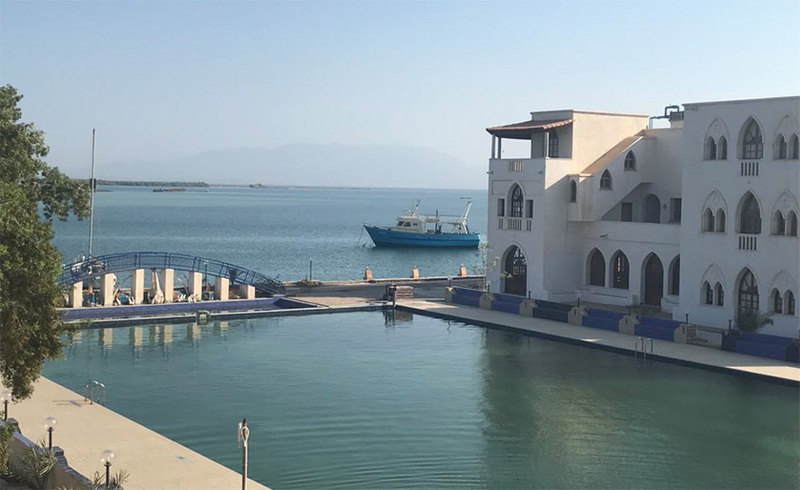 And then we got to Massawa and stayed in this beautiful hotel, the Dahlak Hotel. Q : What about your family? My father told me many stories about my extended family. And when I look at them I see my father. It makes me miss him. So it’s bittersweet to be reunited again. It feels like I got my dad back; not quite though, because I don’t understand what most of the people say to me. But I am going to learn because I am coming back and I’ll be talking the good Tigrigna on my next trip. Q : Were they surprised to see you? My family knew about me all this time. I am sure they were not surprised. But I can tell they’re happy to have me. We hugged each other and cried together. They are also feeding me, so I think they like me. They’re nice, they are even trying to marry me off and everything. I am happy to be here. Q : Are you emotionally feeling connected to Eritrea? By the time I walked in the shores of the Red Sea, I got emotional. I finally felt at home. I told myself that this is where I should have been a long time ago. The Red Sea water made me feel great. It felt like my heart was being healed. I have been through so much, and for long, I have been trying to figure out who I am. Now I have a better understanding of why I am on this earth and what my purpose is. I see the people and I see myself in them. This place gave me the chance to appreciate the real meaning of life. In the villages, I saw young boys, shepherds taking care of their goats and camels. I love animals. When I was younger, I dreamt of having my own little farm with cows, goats, sheep, and everything. I see people growing greens. Farmers work together and produce food together. I love working together with other people. And it is just nice to know who’s growing your food. In America, you don’t even know who’s packaging your food. You just eat what you find. Here it’s different. You go to the market and everything is fresh. You pick your own food. You know where your food is coming from. I love that. In America, people eat and they feel fat. Here is different. I eat and I am full but it’s an energizing full. You feel healthy. The cycle and style of life I saw is incredibly real. Humane. It’s great. Oh by the way… Did you know that there are more than 300 Eritrean Islands in the Red Sea? Wow. We went to the Green Island and the Dahlak Islands. I met the mayor of Dahlak and he told me he’s going to get me a husband. The mayor also gave me some beautiful dresses and summoned some of the village’s young men for me to choose from. That was hilarious. An extremely fun experience. I played in the water and never got tired. The sand is so white and the islands are just so beautiful. Honestly, my soul has been healed. I can’t wait to go back to the US and brag about all the things I learned. Q : It is a good thing you became an all-inclusive artist because there are many people who cannot have enough of you. You are a great comedian and an actress. Which one do you prefer the most? The one I love the most is standup comedy. I have done cartoons where I am in a booth and I talk by myself. I have done movies alongside great people and that’s super great too because I am working with great people like Queen Latifah, Jada Pinkett Smith, Kevin Heart, Danny DeVito and more, so the film is great, but nothing is like standup comedy. Standup comedy gives you instant gratification. You know right away if the crowd likes you or not, if they agree with your ideas or not. You know immediately. Also, you get the chance to feel the energy. Laughter is the best medicine of all time. When you laugh all of your organs are being massaged, your blood is flowing, you feel joy in your heart and in your mind. That’s exactly why I do standup comedy. Even if I am an old lady like 110 years old, I am going to go on stage to do standup comedy. Because I know that’s where I connect with people the most. Yes, I do and I am grateful. Queen Latifa taught me not to pay attention to what people say about you. Because people do say mean things to you or about you no matter what. You pray for those people and work harder. She also taught me to call her if I get drunk and that she’ll send a driver no matter where I am. Kevin Heart is like my older brother. In few words, every time I work with awesome people, there is a great deal of lesson I pick up. And so I am super grateful. Q : And Saturday Night Live. What a hit! Competitions are high for that seat. Q : I know comedy was also your escape from the hurdles of life. Can you take me back, please? When I was a little girl, I was very goofy and silly because I had watched a movie where a detective asks the rabbit why people do nice things for him. The rabbit answered saying “because I make them laugh, and if you make them laugh they’d do anything for you”. And that’s it. I told myself that this is how I am going to make people help me.